Every piece of document used in a transaction plays a significant role. 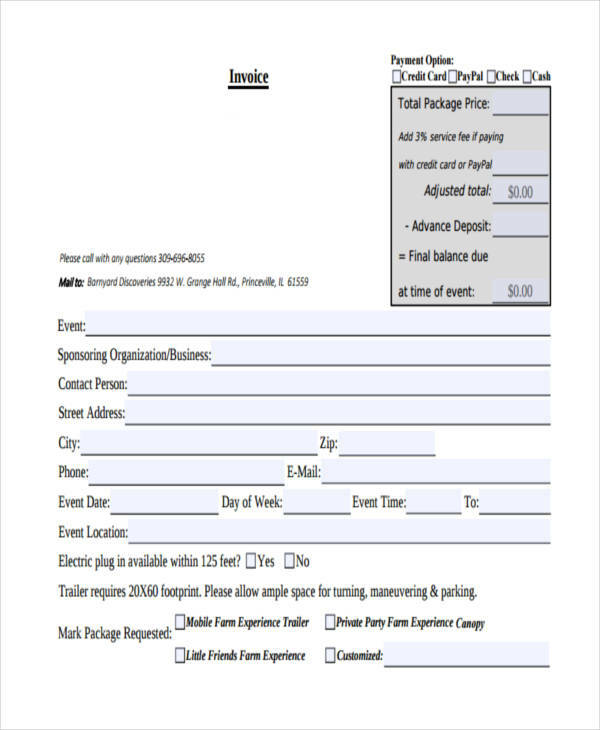 For instance, a sample receipt is provided to a buyer once a purchase has been made. This indicates that a buyer has successfully paid the necessary amount for a given item. But for instances when a payment is yet to be settled, an invoice is provided for confirmation. Here, a buyer may assess the given items purchase invoice and the total amount to be paid. A company may either ask for the full amount or an initial deposit. 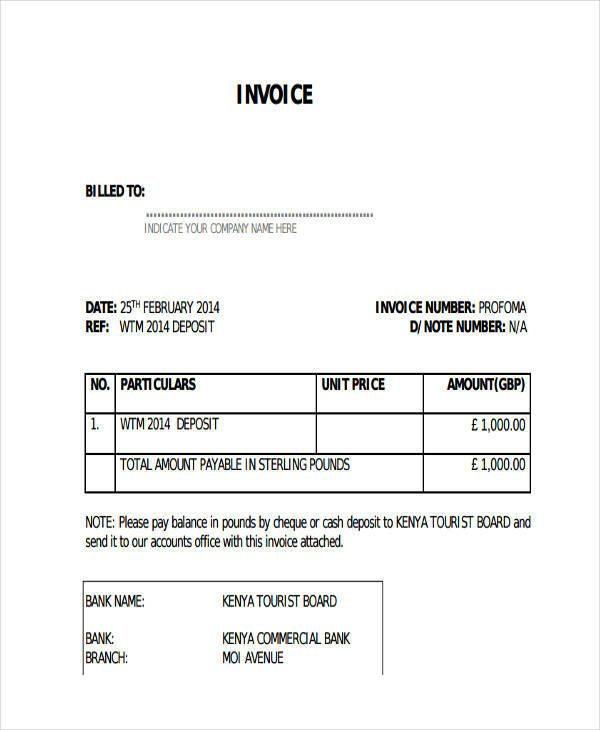 A deposit invoice is a document issued by a seller regarding an amount that must be deposited as a part of a transaction. This is done so that a seller may track the initial payments made by their respective buyers. 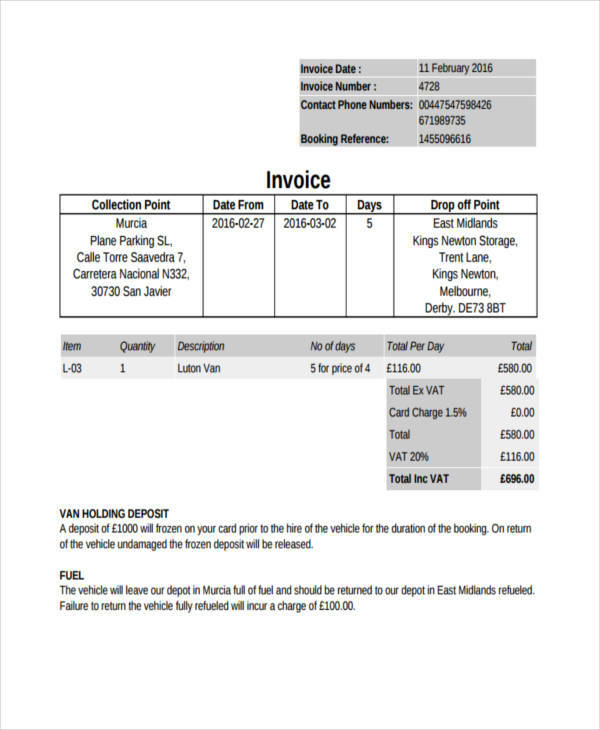 Not to confuse a deposit invoice from a deposit receipt, an invoice Vs receipt in such a way that the invoice is given prior to the payment, while a receipt is issued after. 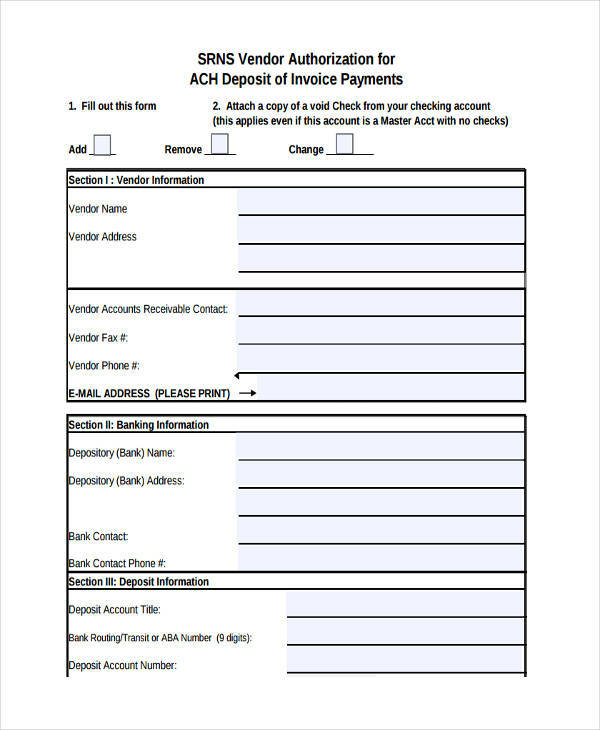 How to Make a Deposit Invoice? If you look at a deposit invoice, you can clearly compare it to a typical billing statement. Naturally, it should be addressed to the person who has made a purchase. This may also include one’s address and contact details. The main part that any buyer, and possibly every seller, pays close attention to is the item description and the amount due. This includes the item’s name, quantity, selling price, and total price. Additional costs indicated in the invoice form may include shipping payments, taxation, and the like. Once this has been summed up, you would need to subtract any discounts that may have come from such purchase. 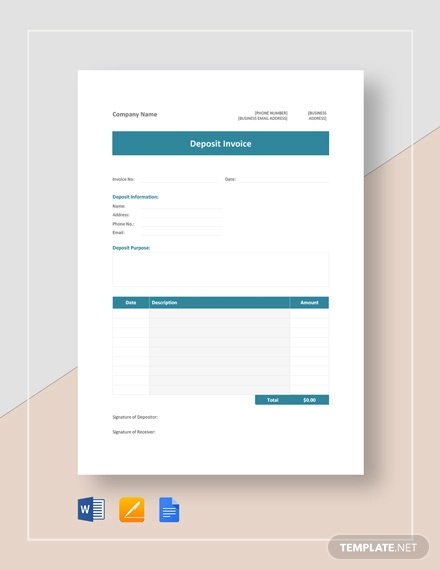 The amount required to be deposited must be clearly stated and made visible in the document. It would also be best to include your terms and conditions for the transaction. In business, trust is always a major issue. Sellers like to believe that their clients are honest people, that’s because most of them actually are. As for customers, they see a business as a professional entity that will always attend to the needs of their customers. However, every business transaction has its own share of risks. Companies that let customers pay after an item has been given are taking a huge financial risk. On the other hand, customers that pay the full price for goods before it is given to them are also making a risky move. There’s always the possibility of one entity betraying the other for their own selfish reason. With this in mind, a lot of companies only require their customers to make an advance deposit receipt, typically at 50% of the purchased item’s actual price. This is usually indicated in a deposit invoice. 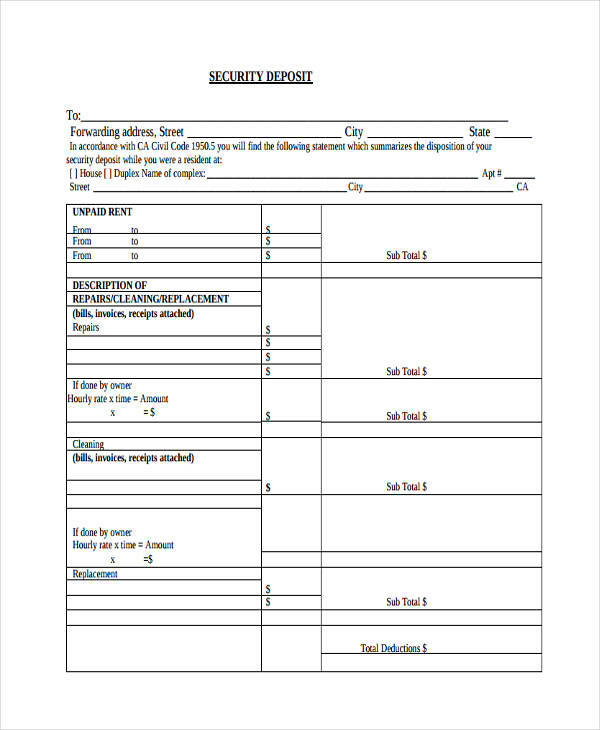 When a deposit is made, the document is then sent to the company. The given deposit will then allow the company to start manufacturing or shipping the given item. 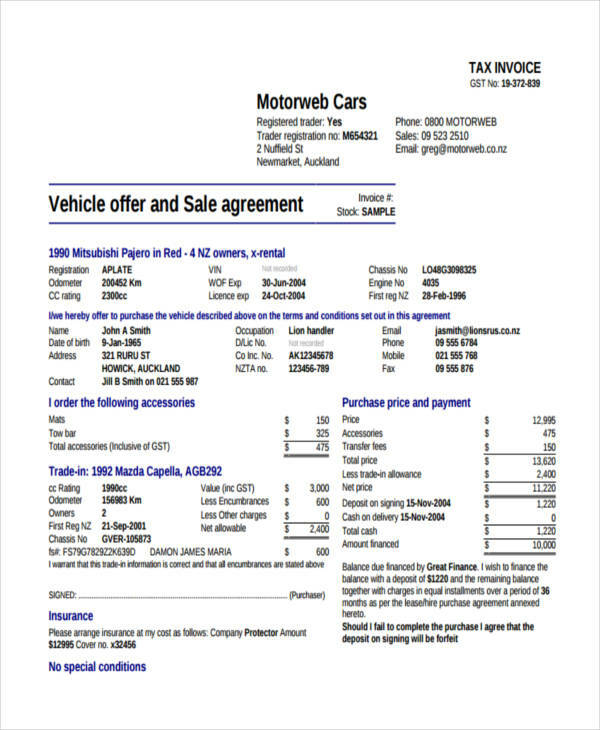 In case of any possible dispute, either of the two parties may use the simple invoice as clear evidence.